Just spotted a load of traffic coming to my site from here. Thank you very much. Also, for the record, my name isn't "Urban Exploration", it's Jim Gillette! Sorry about the name confusion, I changed it. Not sure what happened there. wow, thanks for drawing my attention to these blogs! 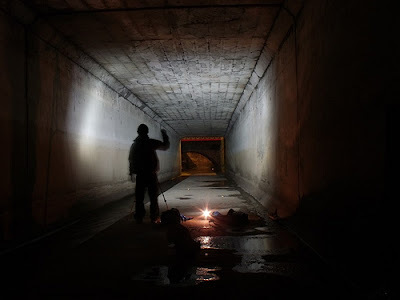 The ones about urban exploration are all quite amazing!